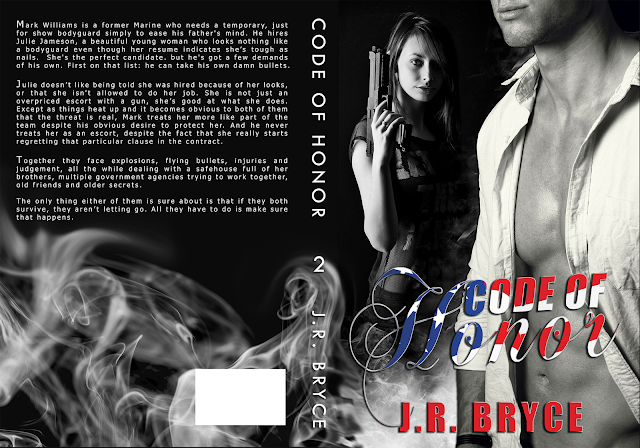 Happy Release Day to Code of Honor (Code #2) by J.R. Bryce w/a rafflecopter giveaway! 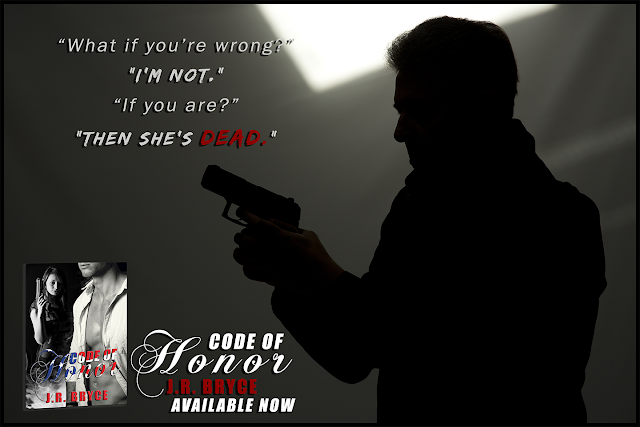 JR Bryce (that’s me) has been writing since I could read, with varying levels of success. but I’ve gotten better over time. Really. I promise.I live in my office corner with a man-eating Chihuahua draped across my lap, my real live Evil Muse mind-controlling me via electronic communication, and writing like a crazy person while my all-too-precocious spawnlings plot each other’s murders and my husband runs away in a vain attempt to save his sanity. Fortunately, the beautiful Oregon Coast has lots of things to distract him so I can get the words on paper. Previous postReview of Shifted for Love (Pepper Valley Shifters #1) by C.A. Tibbitts w/a rafflecopter giveaway! Next postExcerpt from May Your Heart be Light by Sandy Lender w/a rafflecopter giveaway!